Hudnall’s Home Check Services of Fort Myers, FL, earns fifth-year accreditation from the NHWA! Hudnall’s Home Check Services of Fort Myers, Florida, has earned Accredited Member status from the NHWA for the fifth year. 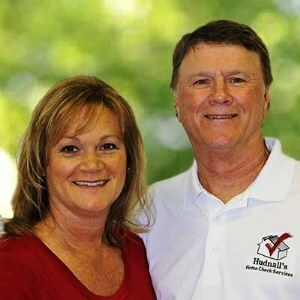 I have had the pleasure of getting to know Ron and Nancy Hudnall over the past five years. They had just started Hudnall’s Home Check Services when they attended our North American Conference here in Myrtle Beach, and their involvement with the NHWA has helped all of us in the Association. Ron and Nancy started Hudnall’s Home Check Services because of their previous careers. Both long-time residents of Fort Myers, Ron had just completed a 28-year career with the Lee County Sheriff’s Office, where he was a highly decorated officer, even earning a Lifetime Achievement Award. During those years, he spent time with the Crime Prevention Unit, where he educated homeowners on home security and Neighborhood Watch programs. 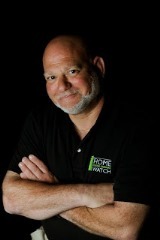 With his very impressive background and experience, it made a lot of sense to Ron that checking on vacant homes was something he would be very good at. Nancy has been a licensed Realtor since 1994, but before that she worked as a 911 operator and dispatcher at the Lee County Sheriff’s Office. That’s where she and Ron met. Seeing issues with vacant homes as a Realtor and having so many part-time residents ask Nancy if she would hold onto a set of keys for them “just in case,” she, too, saw the glaring need for a reliable, trusted Home Watch service in Fort Myers. Married since 1986, Ron and Nancy are the proud parents of Patrick, a stage lighting engineer, also based in Fort Myers. They are extremely involved in the community they’ve lived in and served their whole lives. Hudnall’s Home Check Services serves Fort Myers, Estero, Bonita Springs, and Fort Myers Beach. You can reach them at (239) 936-1890 or at hudnalls@comcast.net. Learn more by visiting their website, www.hudnallshomecheck.com.